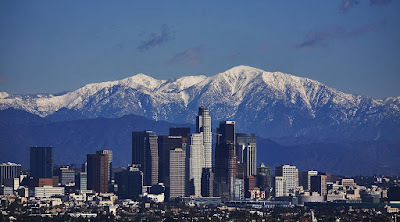 View of Downtown Los Angeles with a snow capped Mt. Baldy in the background a day after Christmas. 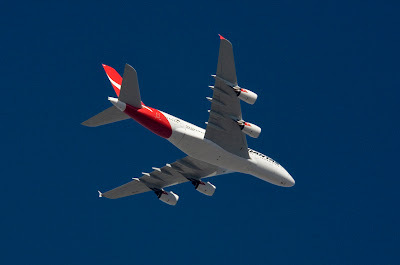 Even saw the world's largest airliner, a Qantas Airbus A380 on final approach to LAX, fly over head in the clear blue skies. What a sight they must have had. Only got called a paparazzi once today, so it was a good day.